Ride to work this morning was a little wet. 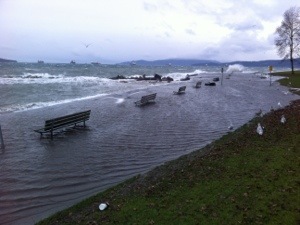 A King tide combined with high winds made for an impassable sea wall. 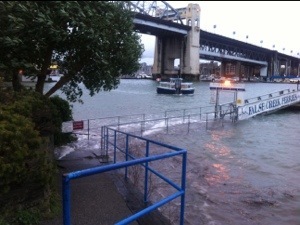 Sea bus was having a hard time too, no access to the dock.